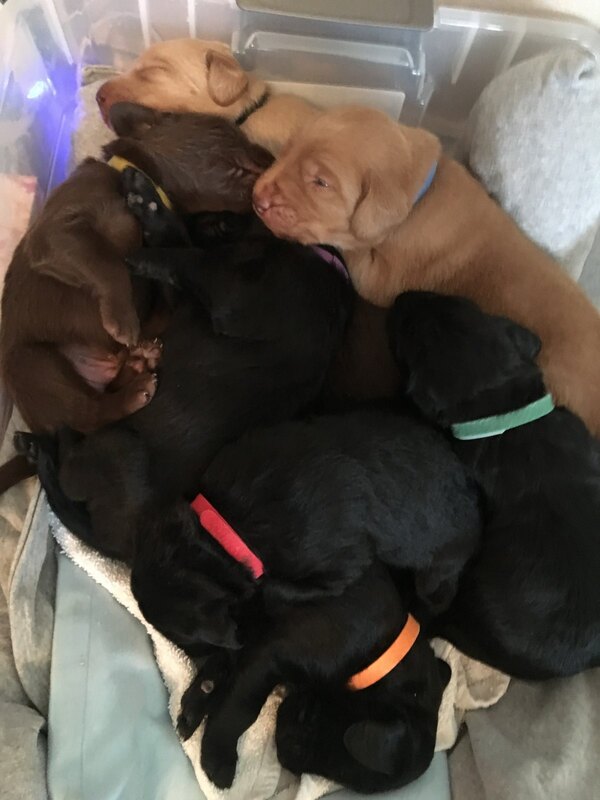 ST. GEORGE — Eight snuggly-soft newborn puppies are looking for volunteers to help them become service dogs for people with special needs. Loving Angel Service Dogs is a nonprofit based in St. George that trains and places service dogs for children and adults with disabilities. Executive Director Cathy Powell runs the program with assistance from her husband, Hoagan Powell. But the seven-day-a-week task of grooming, training, feeding, exercising, cleaning up after and playing with eight puppies is far from a two-person effort, and the organization depends on all sorts of volunteers to make it work. 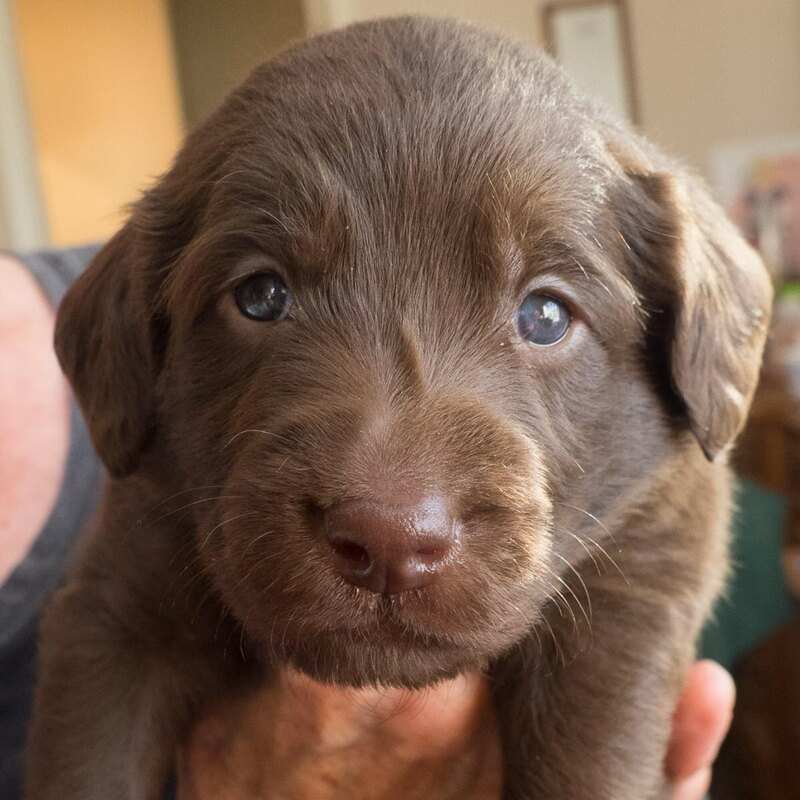 The puppies begin training the day they are born to eventually be placed with people who are immobile, seizure-sufferers, children with autism and veterans with post-traumatic stress disorder. 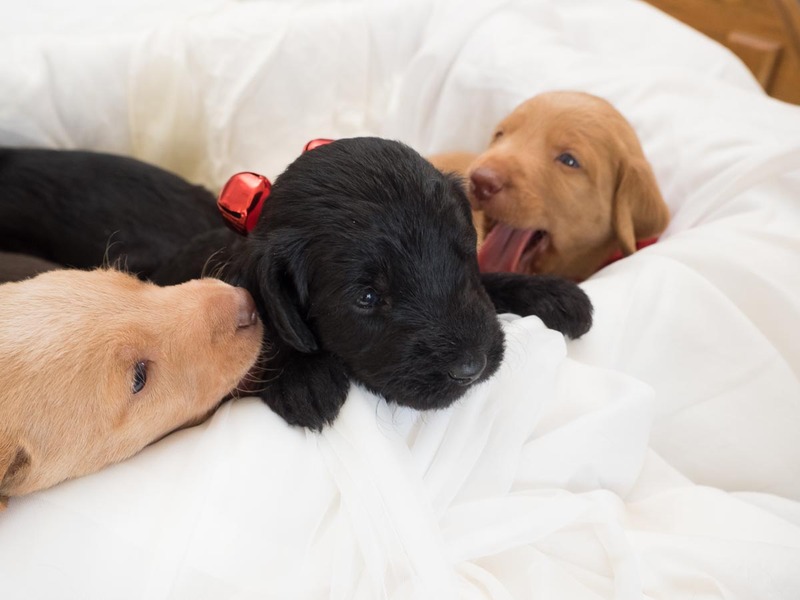 The Powells’ latest litter was born in October and the eight adorable labradoodle puppies have been busy nursing, playing with each other and getting to know a plethora of people. The service-dogs-to-be will need to get used to being in public spaces like grocery stores, movie theaters and parks, which will be among the puppies’ first training regimen venues. 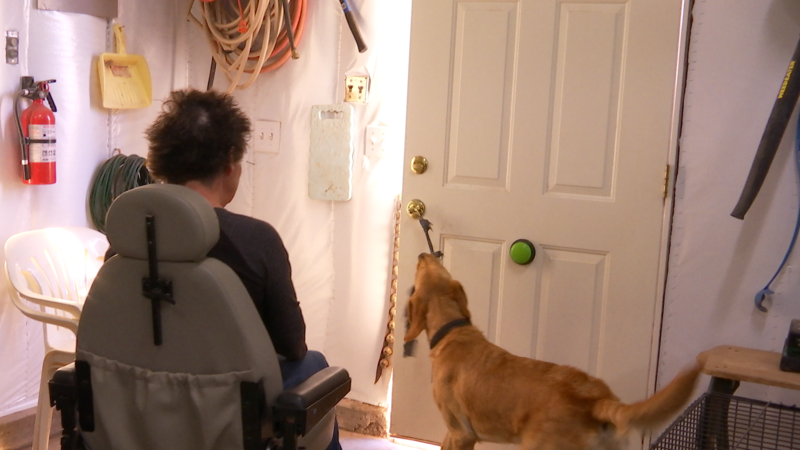 Cindy Gilmore and Wayne Peterson, a married couple who have been volunteering with Loving Angel for more than two years, serve as “granddogs” for the puppies, taking them into their home overnight to work on socialization. Serving as granddog to the puppies is but one of the many volunteer opportunities at Loving Angel. Dixie State University student Morgan Jones assists at Loving Angel with just about every task imaginable, from training to grooming to food preparation. Jones was still in high school when she read a previous St. George News article about the Powells and said she thought it would be a fun opportunity. In the nearly three years since then, she has become one of what Cathy Powell describes as Loving Angel’s most dedicated volunteers. “It’s so rewarding to see when the dogs are finally placed that all that hard work and all those months actually made a difference in somebody’s lives,” Jones said. 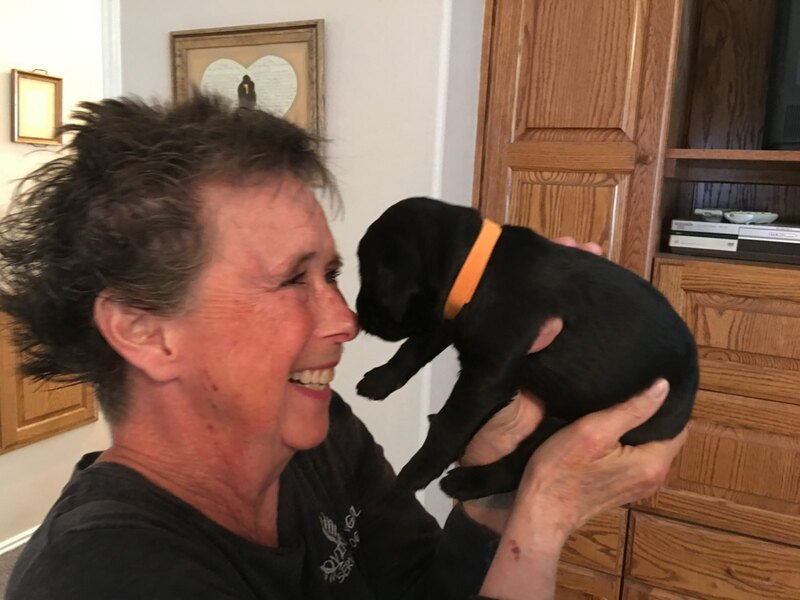 Other volunteers referred to as “puppy raisers” take some of the puppies to live and train in their home full time for a year before more advanced training begins later at the Loving Angel headquarters. Training takes about two years before the puppies are graduated with service dog certification and placed with their handlers permanently. Depending on their specialization, some dogs, such as those trained to support children with autism or alert of seizures, may take less than two years to complete training. Dogs training to assist handlers with everyday mobility tasks like dressing, opening doors and flipping light switches have longer training periods. No one at Loving Angel is paid for the two-plus year training effort of eight dogs, each of which can cost tens of thousands of dollars to train. The dogs are also placed free of charge to veterans and for a nominal fee to others. So, what is the reward for Cathy Powell and her dedicated team of volunteers? In a practice unique to Loving Angel, the trainers and other volunteers get to meet the dogs’ future handlers for regular bonding and training sessions. Even after the dogs are placed, they receive regular follow-up training and opportunities for volunteers to see how they’ve come along. “That’s one of the best parts of volunteering is being a part of really helping to change these people’s lives who have a disability,” Gilmore said. “It’s very rewarding, and we appreciate all the volunteers that we have – and all the ones we’ll get in the future,” Hoagan Powell said. Loving Angel is seeking volunteers to dedicate any time they may have available. Those who can’t share their time can make monetary donations to the organization, which operates on a tight budget. For more information, visit the Loving Angel website. You can also email director@lovingangelservicedogs.com or call 435-632-2482.